Reliable, efficient HVAC and refrigeration products are critical to your business functionality. You cannot afford to have a walk in freezer, ice machine or ventilation system fail. W.R. Smith, Inc. understands this importance, and we are here to ensure that our Paramount refrigeration and HVAC customers receive superior refrigeration products combined with timely service from our experienced technicians. Every business is of course unique with varied HVAC and refrigeration needs. As a Paramount HVAC/R contractor, we exemplify our uniqueness by adapting to any environment, and thus creating HVAC & R product solutions taylored to your specific needs. Properly designed and installed HVAC/R systems achieve higher performance levels with efficient operation. 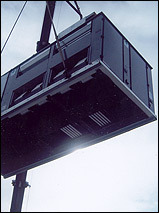 Conversely, an improperly installed system will affect your load capabilities and running costs. These are things you need to be educated on when looking at HVAC/R contractors. However these are things you don't have to worry about when you rely on us! We find fulfillment in a perfectly executed job which means that our refrigeration customers have the finest HVAC & R solutions in . If you have existing equipment in need of repair work, we our able to work on most models from all manufacturers! Just call us at (562) 408-6400 and find out what real service is like from a leading HVAC/R contractor! W.R. Smith, Inc. provides our refrigeration and HVAC customers with extensive preventative maintenance plans. An HVAC & R system is no different than any other equipment: it requires attention to maintain peak running efficiency and designed performance abilities. W.R. Smith, Inc. preventative maintenance plans cover everything to keep your equipment running 24/7. Avoid the threat of downtime or even costly repair work by entrusting us with the ongoing care of your systems! Call us at (562) 408-6400 for more information. Our technicians can maintain and repair most any brand and model of HVAC/R equipment. 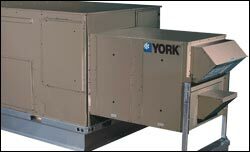 Why York® for your commercial air conditioning, heating and indoor air quality requirements? At W.R. Smith, Inc. we have one primary goal: The complete satisfaction of our Paramount area customers. 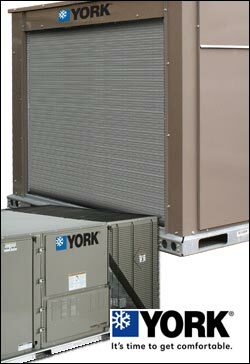 With York® commercial air conditioning, heating and ventilation solutions, we know that our commercial customers have the very best HVAC systems keeping their businesses going. It just doesn't get much more important than that.